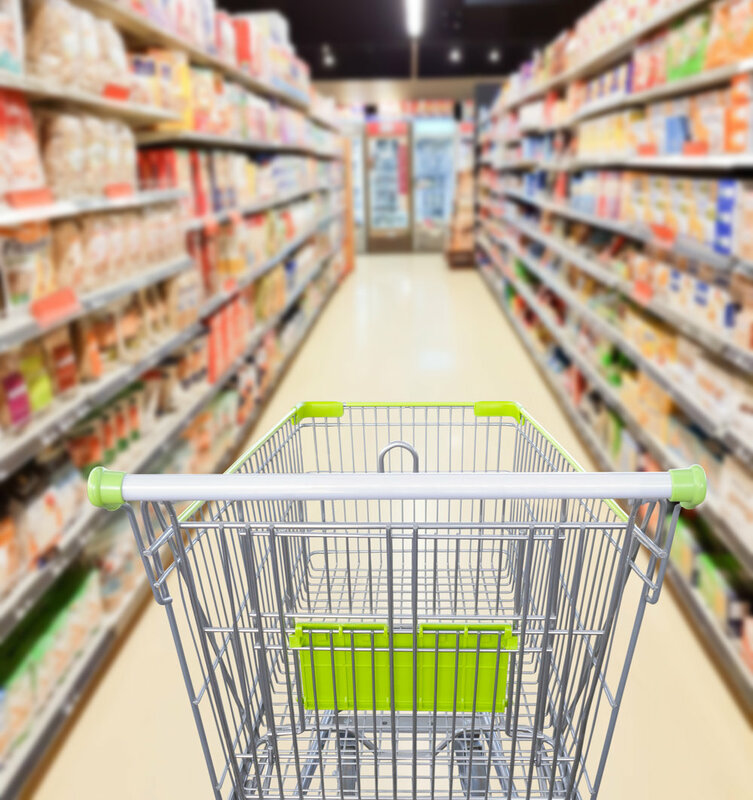 When you get to the grocery store, you are faced with thousands and thousands of product choices. It can be overwhelming to know what is best when it comes to fueling your body as an athlete. Although there are tons of products geared specifically for athletes, it is important to make sure you are getting plenty of the “basics” in as well - fruits, vegetables, whole grains, meat/protein, beans, lentils, milk, yogurt, nuts/seeds, etc. These foods should be the foundation for your eating routine! Here are some of our favorite basics to try adding to your cart this week. Plus download our latest handout from the handout shop, Fill Your Cart. Veggies Noodles - They are perfect to add-in vegetables to a meal. Look for them in the produce section of the grocery store. Also often available in carrot noodles, sweet potato noodles, etc. Note: many stores now have a frozen variety of these available now as well! Quick prep tip: Saute in a skillet with extra virgin olive oil and minced garlic. Season with cracked black pepper and sea salt before serving. Extra Virgin Olive Oil - is a pantry staple as it delivers quality calories and a concentration of healthy fat. Plus it delivers vitamins including: vitamin E and vitamin K. Each tablespoon of olive oil has about 120 calories, which makes it great to add a calorie boost to meals. Try drizzling olive oil on vegetables before roasting or using olive oil as a base for salad dressing. 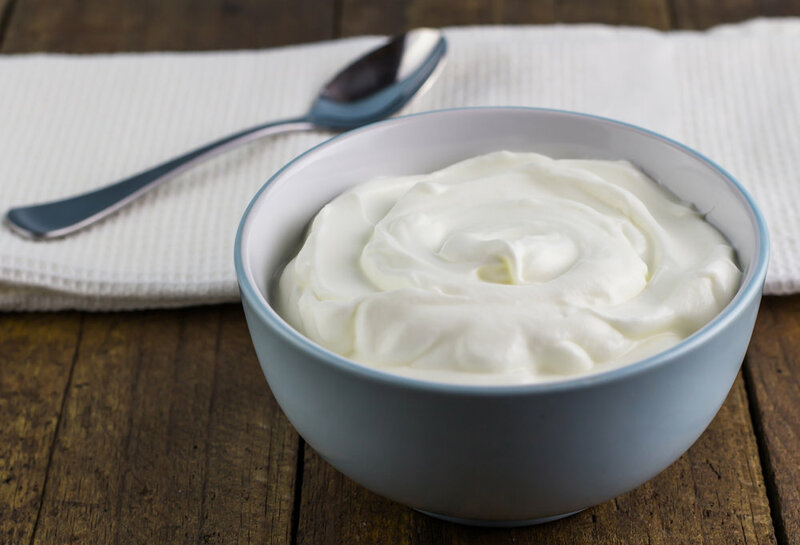 Plain Greek Yogurt or Skyr - Greek yogurt or skyr (aka Icelandic yogurt) is protein-rich and is perfect to add to smoothies, add in place of sour cream to foods like tacos, and have as a snack topped with granola, honey, chia seeds, and fruit. Tip: If trying to gain weight - opt for 4% or whole milk yogurt for a calorie boost. Chia Seeds - These tiny seeds are nutrient powerhouses and deliver plant-based omega-3 fats - plus fiber! They are great to sprinkle in salad dressings, into yogurt or smoothies, or to make chia seed pudding. Chia seed pudding quick recipe: Stir together 2 cups milk, 1/2 cup chia seeds, 1 tablespoon maple syrup. Cover and refrigerate for at least 2 hours or overnight. Mixture will thicken to pudding-like consistency. Serve topped with your favorite fruit. 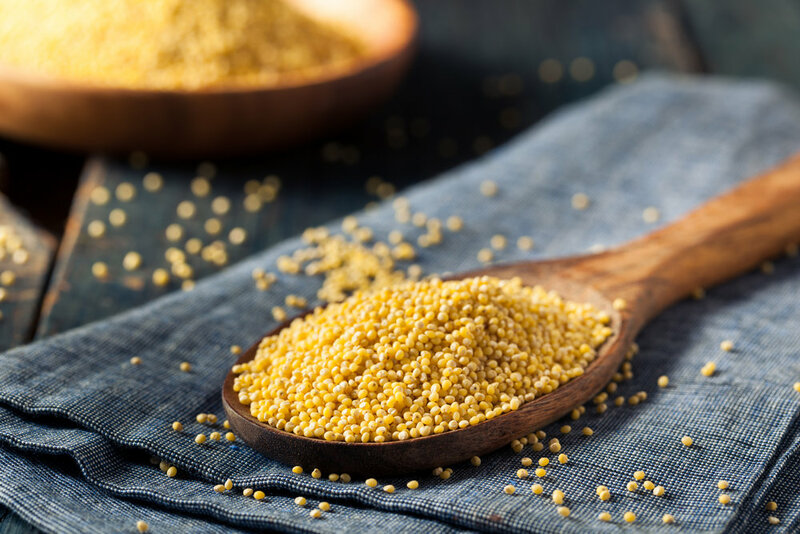 Millet - This ancient-grain is naturally gluten-free whole grain and cooks up similar to rice. It has a very mild and slightly sweet flavor. Use it as a base for stir-fry or grain bowls. It is perfect too as a side-dish at dinner.